B&M Gaming Machines: Do Profits Outweigh Harm? As more US States are looking to regulate and tax gambling, some of the quickest solutions presented are gambling machines. Gambling machines do not need a casino facility to operate in, in fact, most states allow them to be placed in gas stations, stores, bars, and at lottery retailers. In Illinois, video poker gambling machines are prevalent and profitable, so much so, lawmakers are considering expanding IL’s gaming machines to reach more users. The state of Illinois passed the Video Gaming Act in 2009 which allowed the state to utilize gambling devices and machines. Nearly 8,000 machines operated in IL after the law passed and years later 30,000 machines can be found throughout the state. The reason states, like Illinois, are drawn to offering gaming machines is due to the massive tax revenue collected. In IL, the state generated $1.4 billion in tax revenue from gaming machines alone during 2018 according to a Wagering in Illinois report. In fact, revenue collected from gaming machine wagers has increased 75% over the course of the last three years. Certain areas of Illinois would rather rid themselves of gambling machines. On November 19th, the Oak Park Village Board of Trustees permitted a city-wide ordinance to ban gaming machines. The reason: a video gaming loophole in municipalities provided the opportunity for the installment of sweepstake gambling machines which can operate in a grey zone without a license or proper regulation. Sweepstakes machines operate in a similar manner to video gaming machines but rather than an instant cash payout via machine as regulated by the Illinois Gaming Board, sweepstakes machines provide a ticket which can be redeemed for cash later thus providing a regulation loophole for businesses and neighborhoods to abuse. Sweepstakes machines began appearing in and around the city of Chicago. Thereafter, numerous cities were facing their own sweepstakes machine issue. Cities were littered with the machines with no benefit gained through their existence as the machines in operation and owners are not forced to pay taxes to the state or city. Many critics have claimed gaming machines often exploit vulnerable people and families struggling financially. Gaming machines are often disproportionally found in lower-income neighborhoods in striking volumes. Both of these factors often lead to an increase in local crime, addiction, and devastating debt. Despite growing concerns in other Illinois cities, the ordinance in Oak Park shows a pathway for other municipalities to be free from these machines. Oak Park Village has ensured the safety and welfare of their communal public as a top priority through this ban. While Illinois originally permitted gambling machines through the Video Gaming Act in 2013 and see the “little baby casinos” as great tax revenue potential, cities like Oak Park are attempted to rid themselves from the unintentional harm generated through the passed legislation, i.e. unregulated gambling devices operating in grey zones like sweepstakes machines. However, when comparing the effects of gaming machines in states with no legal gambling devices permitted one can see greater harm produced. 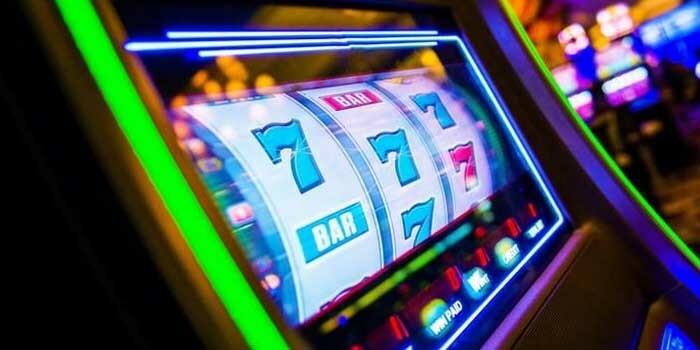 In North Carolina, gaming machines and devices are strictly prohibited: operators, owners, and users can be punished by North Carolina law. The state decided to outlaw gaming machines to better protect vulnerable citizens and reduce criminal activities inflamed by illegal gambling operations such as embezzlement, robberies, and domestic issues. Despite the illegality of gambling machines, NC’s Alcohol Law Enforcement (ALE) agency in charge with reducing alcohol, drug, and gambling-related harm and crime recently arrested nine individuals in relation to the discovery of illegal gambling machines installed at several retail outlets in Anson County. In another case, NC’s ALE agency raided a business in Asheboro for operating illegal gaming machines at the Lucky Day Skill & Fish Tables. Over two dozen gaming machines were confiscated but currently, ALE faces legal scrutiny over the raid and seizure of “Fish Games”. In North Carolina, many consider “Fish Games” a video game based on skill. Games of skill are technically permitted according to a loophole in the state’s gambling law. Regardless, North Carolina is facing an illegal gaming machine crisis as police in smaller towns are overwhelmed by the vast numbers of illegal gaming devices and machines and can hardly put a dent in their operation despite consistent raids. Proving gaming machines can be hard to rid of even with a law prohibiting their use. Despite a clear prohibition on gaming machines in North Carolina, residents aren’t giving them up – but why? Some studies have shown a direct correlation to the sounds and visual cues video gaming machines and slots provide to reduced sensitivity to risk. A study published in the Journal of Neuroscience explains how win-concurrent sensory cues, i.e. sounds and visuals displayed when a player wins, can promote riskier gambling behavior. The study shows nearly instantaneous training via reward-based stimuli as seen by pupil dilation cues and behavioral signals. When receiving win-concurrent sensory cues gamblers’ sensitivity to probability information is reduced thus promoting riskier behavior in regards to choice. Potentially explaining the increased risk of gambling addiction among individuals. The question remains, do gaming machines offer more harm than they do help? Multiple states look to gaming machines as a quick avenue to generate much-needed state revenue. In fact, numerous states are looking to expanding their legal gambling forms to fund state projects and programs. On the other hand, others have found that gaming machines promote more harm in terms of crime and personal losses. However, prohibiting them does not right seem to be the right answer either as it just inflames their popularity – while we mention recent cases in North Carolina, Texas has seen its own fight with illegal gambling machines. Even in areas where gaming machines are legal, there seems to be abuse and issues. To curb some of these problems, states with legal gaming machines like Illinois introduce minimum age requirements to gamble on gaming machines. This helps keep underage gamblers who are at high risk of addiction away from the machines. Illinois enforces a strict gambling age requirement for gaming machines, those 21 years or older can legally gamble on gaming machines. Licensed gaming machine operators who allow an underage individual to gamble risk a business offense and will receive a fine of up to $5,000 from the state of Illinois. States must move carefully and consider adopting gambling harm reduction programs, a state problem gambling assistance service, and educating communities on the effects of gaming machine gambling, especially on illegal machines, with special attention and limitations on quantity in lower-income areas. States can also enforce strict gambling age restrictions, as well as, tighten gaming machine laws with clear provisions to avoid grey area operations.